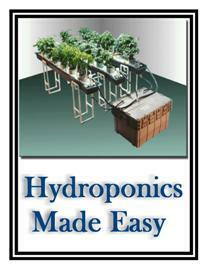 If you have a hard time growing plants in your garden, you may have heard how easy it can be to grow an herb garden. One of the easiest herbs to grow and care for is chives. Chives are the smallest species within the onion family. Here are some tips on how to grow your own chives. First, you must understand the type of plant you are working with. Chives are a bulb that has thin, green cylindrical leaves that end in a rounded point. Each of these leaves is hollow inside. The flowers produced in the spring are a pale purple. Like all bulbs, this herb likes soil that is well drained so that the bulbs do not become mushy. If the ground is too rocky, they cannot reproduce easily. They also thrive in loamy soil. These are the optimum conditions, but this hardy bulb can survive in most soils. Although the bulbs do spread, they do it slowly so you don’t need to worry that they will take over the rest of your herb garden. They grow in clumps and new bulbs grow on the edges of the clumps. As those get bigger, new small bulbs are formed. It is also possible that they can spread from the seeds produced in the flowers, but this is less likely. You can ask your gardening friends for a division from one of their patches of chives so that you can get your own started. This is much easier than trying to grow them from seeds as they take a season to mature. As you learn more about how to grow your own chives, you will be happy to know that the bulbs tend to repel insects although the flowers attract bees. This makes them a very helpful herb to have in your garden. As they grow and flourish, you should regularly cut back the leaves about an inch and a half above the white stem to provide new growth. It is also important that about every three years you divide them and replant them in new soil. Thinking about how to grow your own chives, some things you do will depend on what you use them for. If they are for beauty and to add color to your garden, you can let the flowers bloom as much as you want. However, if you plan to use them in cooking frequently, you will want to cut the flowering heads off as soon as you see them. Harvesting can happen at almost any time of the year, and you can use your chives fresh or store them dry for long periods of time.